Feeling frazzled after your first term? Begin afresh by resolving to improve your practice without taking on too much. With the first term under your belt, you are probably feeling pretty chuffed with yourself – and rightfully so. You earned your Christmas break and hopefully you’ve spent some quality time away from school work. Coming back after so much downtime can be unnerving, but there is plenty to look forward to this term. Where do you start and what do you need to consider? Everything is new when you first start and you are constantly learning and reinventing yourself. If you don’t feel relaxed yet then don’t worry, even experienced teachers will be getting that back to school rush of adrenaline. The new term is like all the others and it is about adopting a positive mindset. What’s the most important thing you need to focus on? You might think it has something to do with targets and spreadsheets but forget them. The one thing you need to pour your energy into is you. The bottom line is that you cannot care for your class unless you also care for yourself. By now, you will be aware that teachers give, give, give – not just at Christmas, but all year round. But before throwing yourself into the term and to stop yourself from drowning in work, make some pretty clear-cut resolutions to protect yourself. Above all else, take care of number one by exercising, resting properly, eating well, nurturing friendships, spending time with family and friends, and having fun. Get the dopamine part right and you’ll be a happier teacher but neglect it and you’ll get to the half term break resembling a 1000-piece jigsaw. The new year is traditionally a time for making promises and resolutions but pedagogues never stop making personal and professional pledges. We want to be the best we can but this doesn’t just happen which is why setting our own regular targets is important in order to build resilience and reflective reasoning for constant renewal. Take a look at the following 10 resolutions that are fit for purpose at any time of year. Download the 10 resolutions in PDF format to make them yours. Any new teacher will feel obliged to do everything in order to fit in, gain respect and impress but this is a sure-fire way to over-stretch yourself and spend the whole of the spring term with a never-ending cold. A good mentor will ensure you are keeping things sensible and proportionate and not doing too much. Always give 100 per cent but not necessarily all at the same time: spread yourself to last the week and term. Work smarter, not harder. 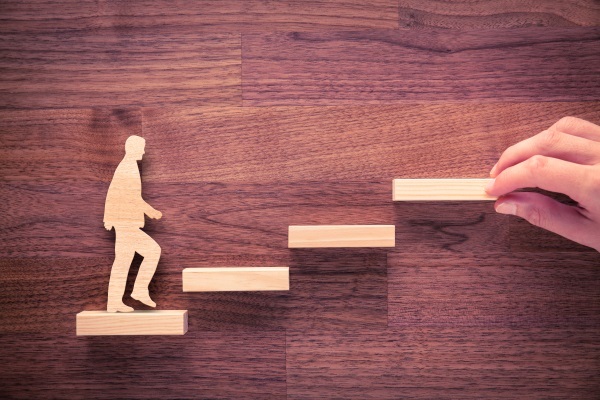 Every teacher benefits from the wisdom of others and this means making the effort to serve as a connected educator. You can do this by reaching out to others, sharing your strengths and skills and learning from the rich team of people around you. Never miss an opportunity to actively grow as a professional and constantly seek out advice and resources. Use your colleagues as sounding boards and accept them as critical friends. Every week, commit to expanding your personal and professional learning network by following five educators on Twitter and finding five new resources/tools. The people you ‘follow’ will inevitably shape your practice and influence your thinking, and Twitter is fertile ground for making new contacts. Finding new resources will also help to improve what you do and how you teach. Many new resources come by being active on social media. Keep up to date and have your finger on the pulse. Marking is the bane of every teacher's life unless you are lucky enough to work in a ‘no marking policy’ school. It’s important to always have the upper hand and control the marking, not let it control you. Marking doesn’t have to be a pile of books that erodes your social life. Where possible, give verbal feedback in class and offer diagnostic comments in conversation with pupils. Teachers that regularly take risks grow; those that don’t stagnate. In order to get better at your craft then you’ve got to be crafty and try new things. You will develop shrewd ways of working when you discover what works for you but you’ll never know if you aren’t prepared to try some golden nuggets and make some mistakes in the process. Try a ‘golden lesson’ for yourself, as described by Will Ord. All teachers have at some point fallen foul of snake oil salesmen offering quick fixes. When you are searching for ways to help your pupils make progress then you will naturally gravitate towards the noise and adopt a strategy that others swear by. It's always worth pressing pause and looking at the evidence. Think carefully about what works by doing your background checks and looking beyond the hard sell. Some educational ‘gems’ are nothing but urban myths. Teachers are grafters and sometimes don’t know when to stop. Effective teachers though manage their time, set boundaries and ensure they take time away from their jobs. Safeguarding is a big part of the job but this also entails safeguarding you own wellness and not being the fragmented, overworked and exhausted teacher sat in the GP surgery waiting room. Unplug! The relationship we have with ourself has the greatest impact on our performance at work. 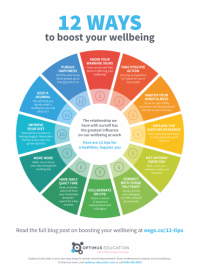 Try these 12 ways of boosting your own wellbeing. Not everything is going to go according to plan. A perfectly planned lesson can go out of the window if there’s an unscheduled fire drill, your PE lesson might go pear-shaped because the tables and chairs haven’t been cleared from the hall or ‘wet play’ has sent everyone hyper. Don’t battle, go with the flow and let the frustration find its way out or it will eat away at you. New and experienced teachers are pretty good at guilt and blaming themselves for something. You will probably convince yourself that ‘teaching isn’t for me’ or ‘I’m not cut out for this’ but don’t listen to those voices. Cut yourself some slack and give yourself time to grow into what you are doing. You are good enough and that’s that so just enjoy yourself and stop worrying. Your ability to learn and achieve a high level of skill is limitless. The new term and new year are there for the taking and that means being ambitious, creative, outward-looking and aiming high. It also means being realistic, pragmatic, knowing your limits and being satisfied that you are not superman or superwoman. By all means plan ahead but not too far. Go day by day and week by week, and reward yourself for each milestone that you reach. Teaching isn’t a sprint! The new term is ripe with opportunities to improve yourself and your teaching and the new year is the perfect time to feel upbeat, positive and energised. 2018 will be a great year if you allow it to be, and by September you should already be feeling like a dab hand. New or experienced, every teacher has room for self-improvement. Read John's suggestions for professional promises you can keep this year. Teachers: does your professional learning have purpose?